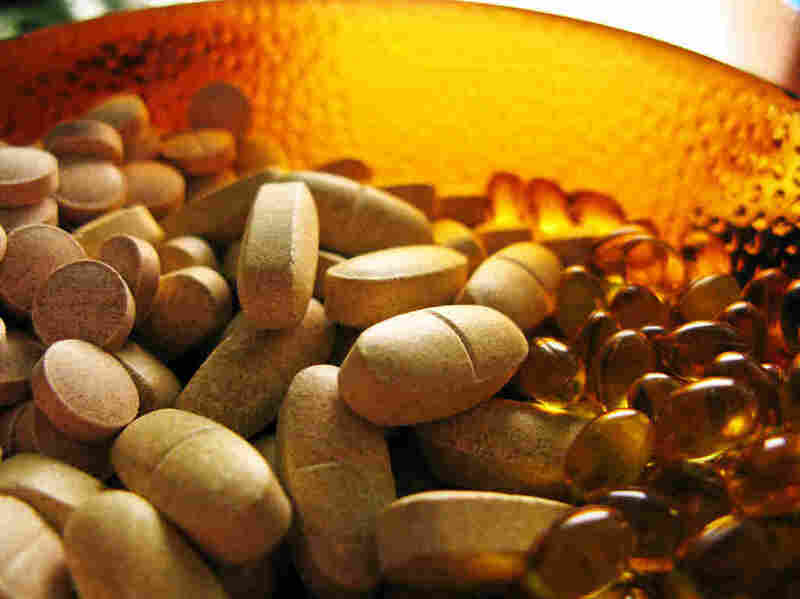 Vitamin D supplements may or may not help slow cognitive decline. But studies hint at a connection. There have been suggestions that low levels of vitamin D might be a factor in cognitive decline and Alzheimer’s disease, but there’s no proof that the lack of D is actually causing the problems. A study published Monday doesn’t prove that link, but it does find that people with low levels of vitamin D lost key thinking skills more quickly that people with enough. The study is notable because of the diversity of the participants: 62 percent were women, 30 percent were African American 25 percent Hispanic and 41 percent white. Most earlier studies looking at cognitive decline and vitamin D were in white people. The participants lived in California’s Sacramento Valley and were mostly in their 70s when they entered the study. The researchers followed up with them for about five years, having them take annual neurological exams and neuropsychological testing at the University of California, Davis, Alzheimer’s Disease Center. Most of the 382 people in the study were low on vitamin D, tested by measuring 25-hydroxyvitamin D in the blood. One-quarter of the participants were deficient in vitamin D, and 35 percent had levels deemed insufficient. That’s not a surprise; most older people are below the “adequate” level of 20 to less than 50 ng/ml, often because they’re not outside much. And most of the people in the study weren’t getting the recommended three servings of dairy foods daily that could help. Also not surprising is the finding that people who are African-American or Hispanic had lower levels of vitamin D than white people. The body makes vitamin D in response to sun exposure, and having darker skin (or wearing sunscreen) reduces the amount of sunlight absorbed. Overall, people with inadequate levels of vitamin D lost episodic memory and executive function more quickly. Vitamin D levels didn’t seem to affect semantic memory or visuospatial ability, though. The results were published in JAMA Neurology. Unfortunately, there weren’t enough people in the study to answer the really big question — if a person’s race affected the risk of accelerated cognitive decline and it’s relationship to vitamin D.
And it didn’t look at whether taking vitamin D supplements could prevent decline. But you don’t have to be a professor to think it couldn’t hurt. “We’re relatively cautious in how we say this,” Joshua Miller, chair of the department of nutrition in the school of environmental and biological sciences at Rutgers University, said. He’s the study’s lead author, and worked on it while he was at the University of California, Davis. Miller and his colleagues hope that other researchers will do the kind of randomized controlled trials needed to find out of vitamin D supplements can stave off cognitive decline or Alzheimer’s.